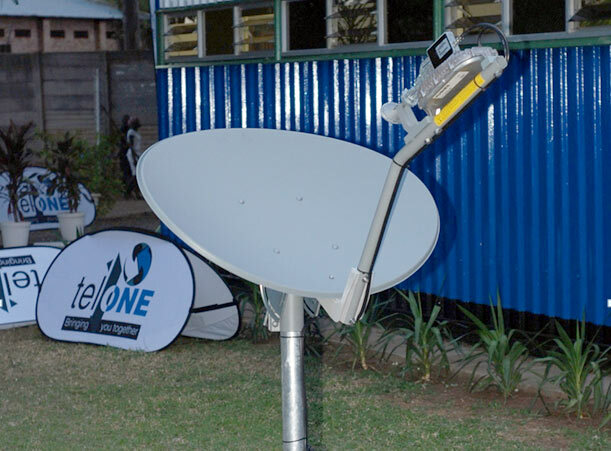 A little over a month ago when we wrote about TelOne’s new Ka-Band VSAT internet service, the company said it hadn’t yet finalised the pricing. Today, at a breakfast meeting held in Harare, TelOne released the pricing of the service. The subscriptions compared to other services on the market (including TelOne’s own ADSL service) is competitive but not the lowest. But there’s one key thing to keep in mind. If you’re going for VSAT, then you’re probably in an area that doesn’t afford you any of the many alternatives city internet users have. So a comparison with ADSL, Fibre and WiMAX rates really is meaningless. For VSAT this is a good deal. TelOne also explained today that those data caps don’t mean you will be disconnected completely from the internet; you will just be downgraded to slower internet if you hit the cap. The audience at the announcement today comprised a number of executive from schools outside Harare. An issue they raised which they said should be solved first for solutions such as TelOne’s VSAT service and the country president’s school computerisation program is the issue of the lack of electricity. Many schools in the rural areas they said, don’t have any electricity so the computers and the internet are really the cart coming before the horse. TelOne acknowledged this being an issue that’s affecting uptake of the service. This announcement is generally a good thing, but the caps are still too low. Let’s amortize the installation cost and tie our customers in some contracts.$670.00 setup fees can affect uptake. True to that, once connected you will see speeds will be getign like 100kb oe less download speeds. What about Potraz Licence Fee, is this factored in already? 8GB at $51 per month when one can go for zol 1mbps at $60 per month unlimited,,really? i think it will work well kumamisha kusina siganal re wimax where the students will only be allowed to connect to the net once a week cause that limit is pathetic compared to what other service providers are offering at about the same price. zol is rubbish used it! its working now….. better than others. Running on the Hughes platform, that FAP will kill you. After about 10 minutes into each other, you will be throttled to “useless” for the rest of the hour, then, reset, then another 10 minutes at full speed, then dead for 50 minutes. Remember, Telone is only a reseller here, the have no control over the NOC, the satellite or the FAP/contentions.